3CX is a extremely popular low cost, feature rich VOIP Phone System, which can be hosted in Cloud or on Premises. We are exhibiting the 3CX Phone System, showing full functionality, such as: mobile apps, soft phones, CRM integration. Auto attendant, Call Recording. Cashin also provide tailored Music on Hold productions providing information on your organisation while callers are holding. 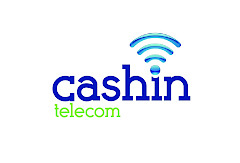 Cashin also provide low cost VOIP Lines with most competitive rates.